Remember a few weeks ago when I published this post? I asked you to join in a little contest of trying the guess the materials and techniques I had used to create the backgrounds in that post. I have to admit that when I saw that particular background was her choice, my original intent was to make something fairly elegant. The design seemed to call for that. 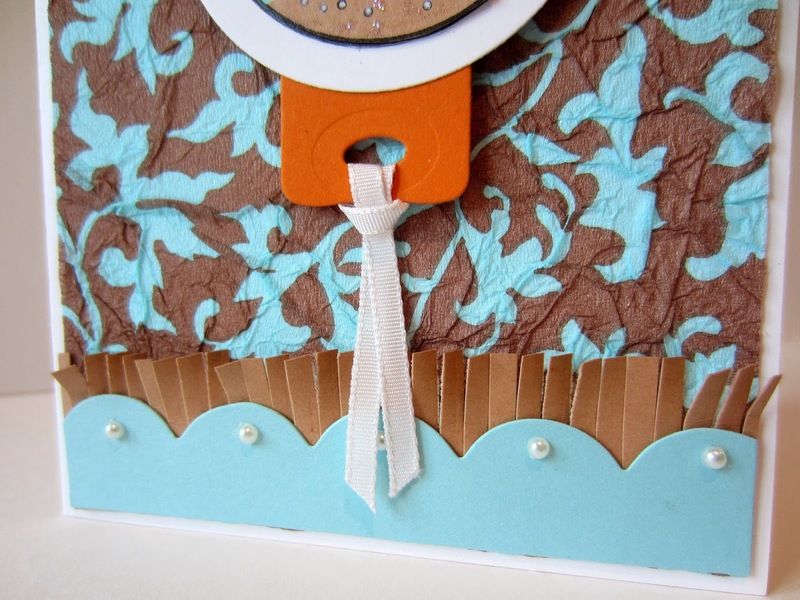 However, before I started the card, I was browsing through my big Stampin' Up! catalog, and came across my cute little stamp, Fishin' Around, on page 58. 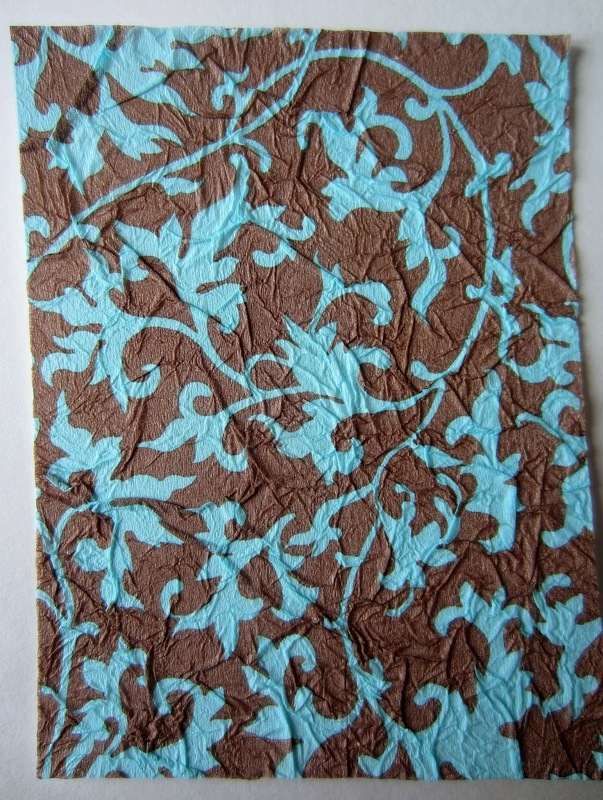 I wondered, if you use your imagination, could the turquoise designs look sort of like algae or some other sea plants? Hmmm. And my card idea was hatched! For the fishbowl, I stamped the image four times: once on Whisper White, once on a Pumpkin Pie DSP, once on the tan, and once on the turquoise. I then cut out the water, the fish, and the treasure and sand and adhered them all onto the Whisper White. Since there were pearls strewn about from the spilled treasure chest, I added a few "real" ones on the waves. Debbie, I hope you like your card (and the rest of your prize!). It will go in the mail within a few days. That is a cute card! You sure love your piecing! I might have to get that stamp before it's gone. I love those colors myself! Adorable. I love the combination - simple illustrations over an elegant background. This is a lovely card. Those fish are so cute. Love this! My last name leads me to always checking out cute "fish" things! 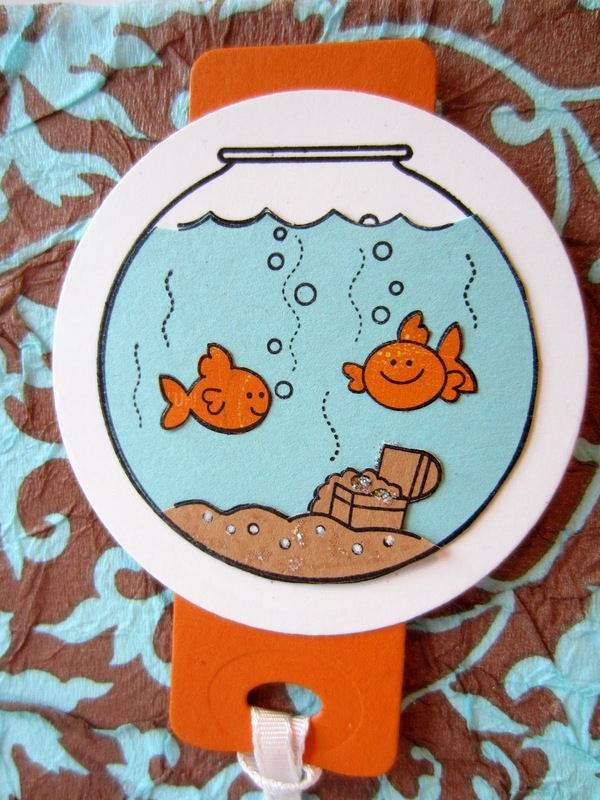 The goldfish look so happy in their bowl.... What an adorable card.. Well worth showing off to the whole wide world!! 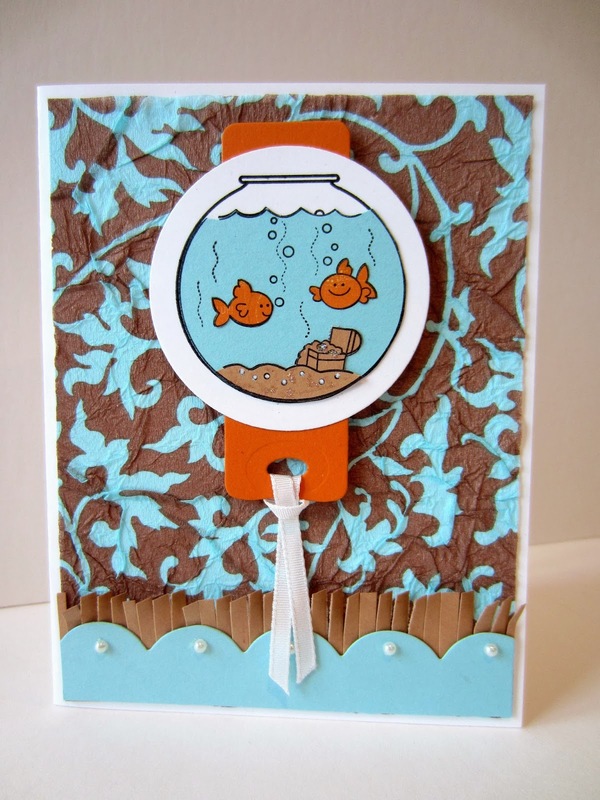 Linda, the goldfish card is precious! My little grandson is just learning to talk, and when asked, "what does the goldfish say?" He says, "Bubbuh!" (bubble). I need to get crafty and make one of these for him. You always have such fun ideas! Thank you for sharing your lovely works of art with Treasure Box Tuesday! I love this card, it is adorable. That card is adorable! Awesome work! Cute card. So many fun details! Очень здорово! Спасибо за участие в проекте Рукодельное кафе!